Everyone loves to shop and we have everything you need to set up your very own shop or even cafe. 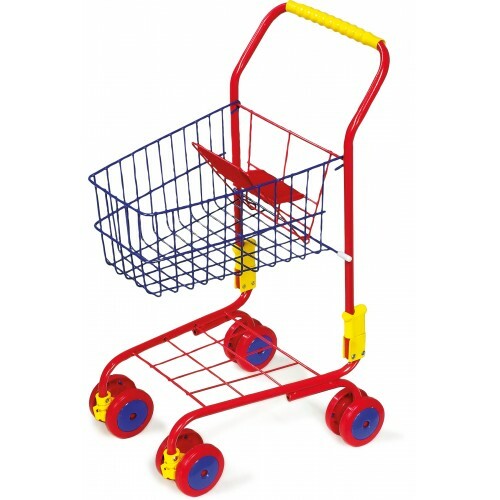 We have wooden toy tills, shopping trolleys, shopping baskets and not forgetting the wooden shop and we even have a ice cream cart. Plus a range of food for you to sell. 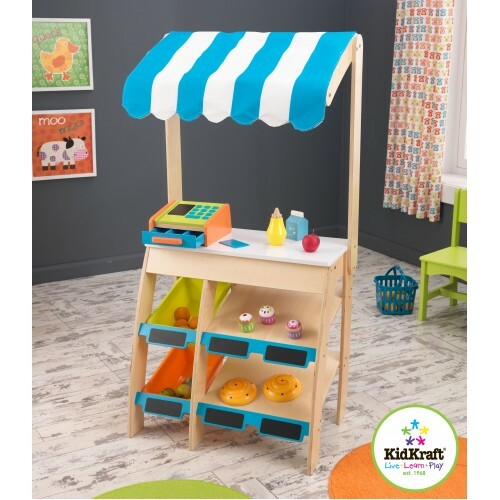 KidKraft Grocery Marketplace New from Kidkraft this wooden market stall is perfect for role playi.. 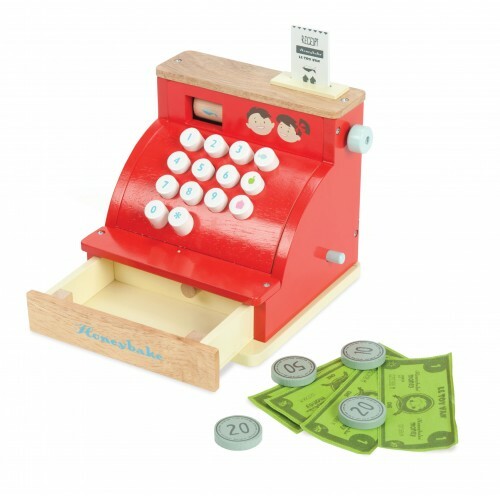 Le Toy Van Cash Register TillWho wants to play shops? 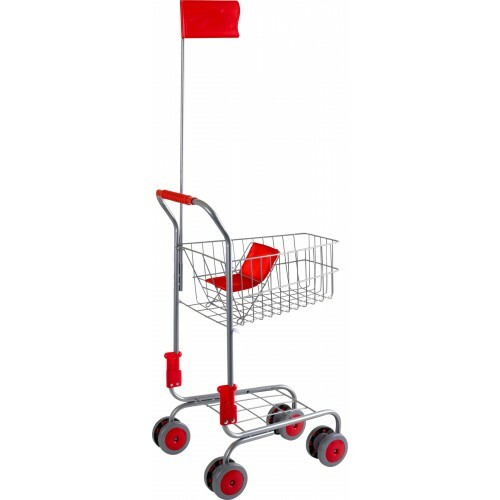 Now you can check out in style with this fab w.. Le Toy Van Eggs and Dairy CrateHelp to teach your child to eat a balanced diet with this wooden cr.. 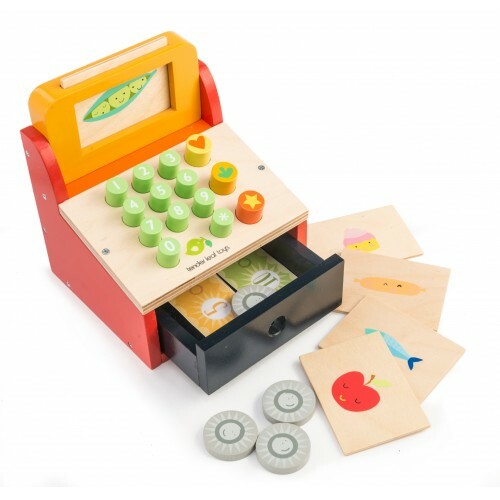 Le Toy Van Fresh Fish CrateHelp to teach your child to eat a balanced diet with this wooden crate .. 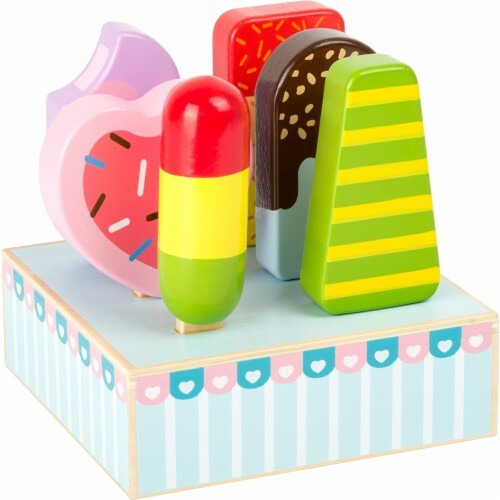 Le Toy Van Fruits Five-A-Day CrateHelp to teach your child to eat healthy with this wooden cra.. 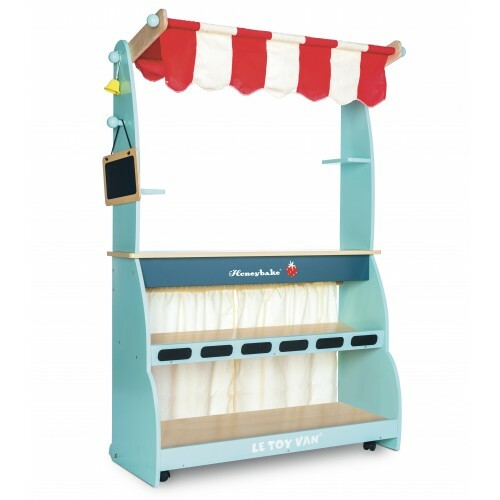 Le Toy Van Honeybake Shop and CafeSmall children will love this 2 in 1 reversible wooden Shop and Ca.. 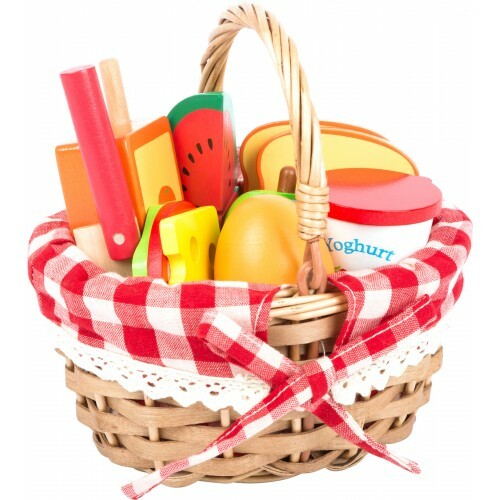 Le Toy Van Market Meat CrateHelp to teach your child to eat a balanced diet with this wooden crate a.. Le Toy Van Veg Five-A-Day CrateHelp to teach your child to eat healthy with this wooden crate and ve.. 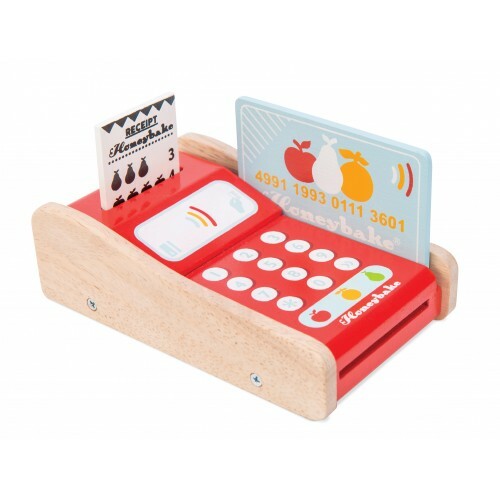 Le Toy Van Wooden Card MachinePerfect accessory for any play shop or market, this card machine.. Le Toy Van Wooden Weighing ScalesWeigh up your options with the wooden toy Honeybake Weighing Scales..
Small Foot Coloured Shopping TrolleySmall children will love this coloured lightweight shopping trol..
Small Foot Ice Lolly StandWe all love an ice ice lolly when the temperature rises, this set makes an..
Small Foot Picnic Basket With Food and Cutting FruitCome on, we're having a picnic! This woven shopp..
Small Foot Silver Shopping TrolleySmall children will love lightweight shopping trolley, now they ..
Small Foot Wooden Ice-Cream CartThis cute little ice cream cart is perfectly sized for your ice-crea..
Tender Leaf Toys Bread CrateA perfect companion with our play kitchen or toy market stall or even ad..
Tender Leaf Toys Farmer's Market StallIts farmer's market day! 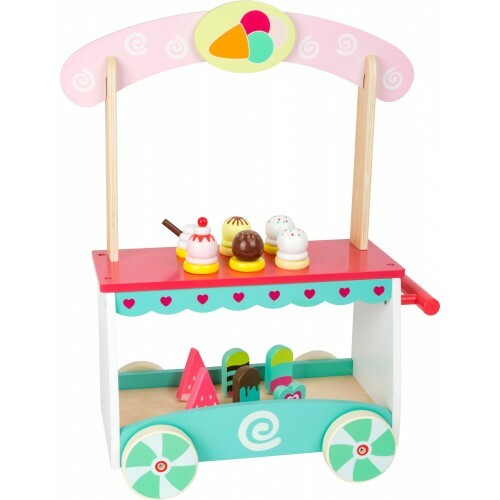 Start your business with this vibrant..
Tender Leaf Toys Fish CrateA perfect companion with our play kitchen or market, your children will a..
Tender Leaf Toys Grocery Shopping BagGrab your bag it's time to go shopping this pretty printed canv..
Tender Leaf Toys Ice Cream CartHow adorable is this wooden ice cream cart! We just love it, it is un..
Tender Leaf Toys Till With MoneyThis beautifully painted till has real buttons to push and is packed..
Tender Leaf Toys Weighing ScalesA fantastic addition to any market stall or play kitchen. Weigh your..